The Yahari Ore no Seishun Love Comedy wa Machigatteiru. 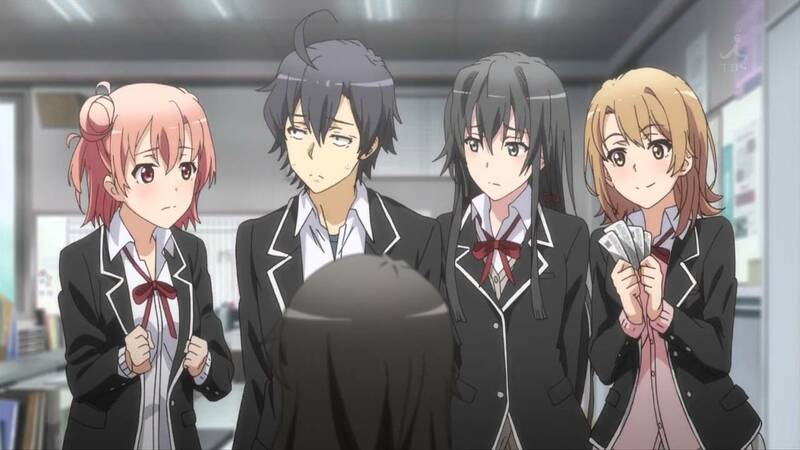 also known as My Teen Romantic Comedy SNAFU or Oregairu is getting a 3rd season soon. 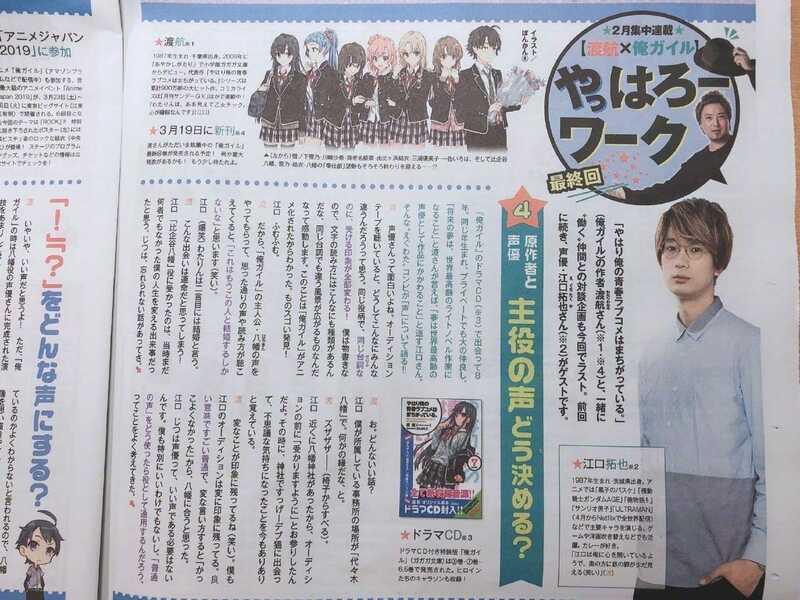 Just some few weeks ago we’ve reported that some Japanese newspaper featured newsprint which teased an important announcement regarding Oregairu. We speculated that it might be a movie or could be a 3rd season and now it seems like our hunch was right. 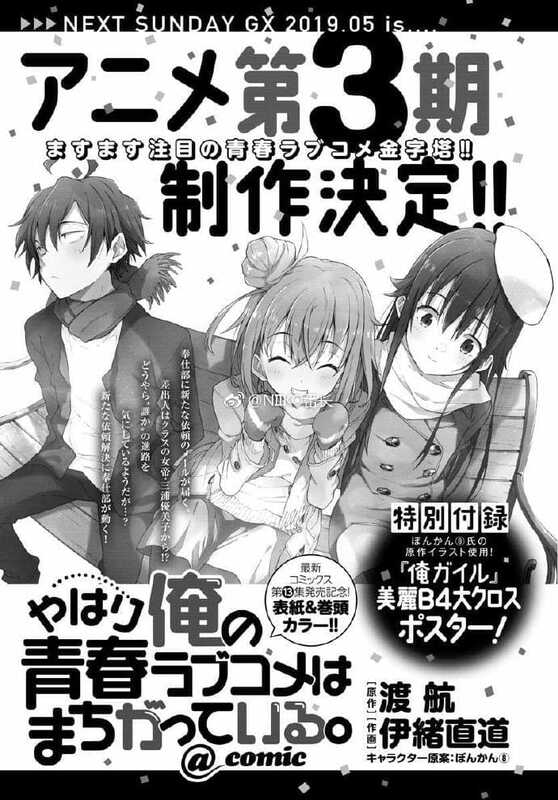 We are getting an Oregairu 3rd season which could also be the final season as The 14th and final volume of the light novel will go on sale from March 19th. This is great news for people who are waiting forever for a new season of Oregairu. As there are no other details other than this announcement have been revealed. Stay tuned as we will cover any news related to Oregairu season 3 as soon as possible. While you might want to check out, Premiere date for BEASTARS anime has been revealed, Psycho-Pass season 3 broadcast date announced with two new cast members, TV anime Tsugomomo season 2 announced. Tags: AnimeAnime adaptationLight NovelMy Teen Romantic Comedy SNAFUOregairuOregairu Season 3Yahari Ore no Seishun Love Comedy wa Machigatteiru.